Vitamin and mineral complex with selenium – An additional source of vitamin complex and selenium; it promotes immunity boosting, increasing work capacity of the body and has antioxidative properties. Brewer’s yeast – 144.95 mg, vitamin premix (vitamin E acetate, thiamine mononitrate, riboflavin, pyridoxine hydrochloride, ascorbic acid, calcium D-pantothenate, nicotinamide, folic acid) – 0.05 mg, selenium oxide – 0.00275 mg, excipients. Selenium is a microelement, being one of the most essential elements for human body; its greatest amount is concentrated in the liver, the kidneys, the spleen, the heart, the testicles and the spermatic cords in men. Selenium participates in numerous vital processes, occurring in the body: in basal metabolism regulation, as well as in lipid, protein and carbohydrate metabolisms, oxidation-reduction processes; it reacts with vitamins and enzymes. This substance has powerful antioxidative properties in the body, protecting cell membranes and preventing free radicals formation, thus reducing the risk of oncologic diseases. Selenium insufficiency results in decrease in immunity, growth retardation, skin, hair, nail diseases, development of cardiovascular diseases, atherosclerosis, allergic diseases, disorders within the genital sphere, body’s premature ageing. 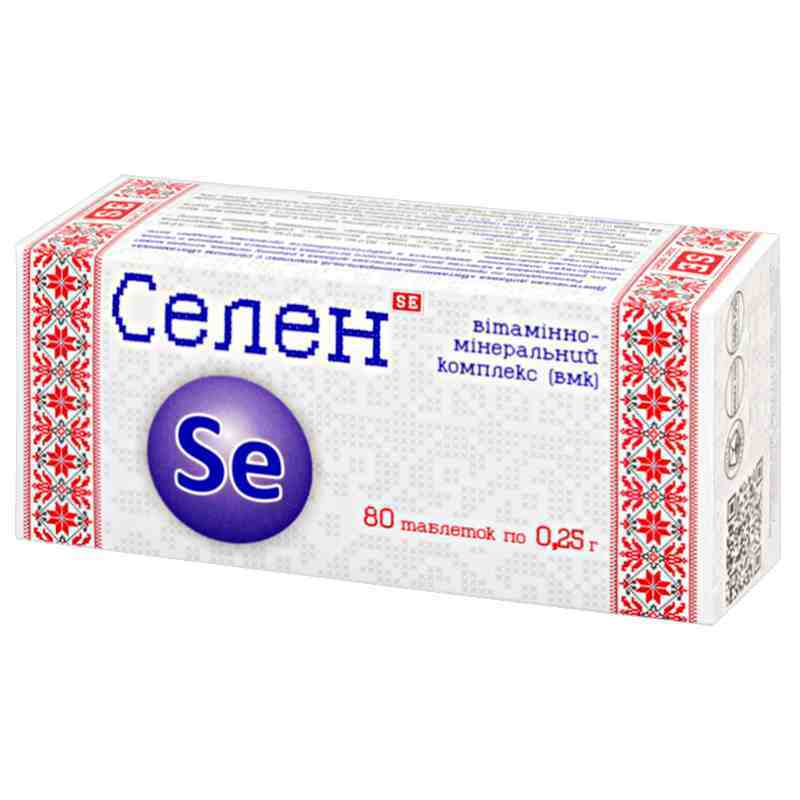 Selenium also participates in thyroid hormone – triiodothyronine – synthesis, as well as in elimination of heavy metals from the body. Brewer’s yeast is a product, rich in substances, which are necessary for the body. Presence of great amount of B-complex vitamins, easily digested protein, essential amino acids, micro- and macroelements in brewer’s yeast makes it a source of a well-balanced nutritious complex. Complex vitamin premix acts as a catalyst in numerous biochemical processes in human body, it boosts body’s immunodefence, reduces aggressive effect of environmental factors. Adults take 1-2 tablets thrice a day with food. Term of use – up to 1 month. Further, the term of use and the possibility of repeated use are to be agreed with a doctor.